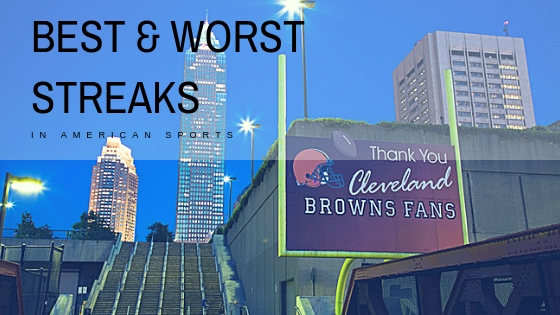 This past week, the Cleveland Browns won their first regular season football game in nearly two years, breaking a winless streak that dated back to December 2016 in the season finale against the Pittsburgh Steelers. Snapping that streak had us curious about some of the best and worst streaks in American professional sports. We’ve left out MLS due to draws being commonplace, but here are a couple streaks to cheer (or cry) about. Who else but the New England Patriots could hold the title of longest winning streak in the NFL? Starting in 2003, the Pats rattled off 21 straight wins before falling to the Pittsburgh Steelers the following season, more than a year after losing their last game. We don’t imagine their fans were too upset about it. At the height of World War II, the listless Chicago Cardinals lost a whopping 29 straight games before finally beating the Chicago Bears in 1945 to break their losing streak. Second place goes to the expansion Tampa Bay Buccaneers, who lost 26 straight games before recording two wins in their second season in existence. We almost had a new league record set for consecutive wins last season by the Cleveland Indians, who won a mind-boggling 22 victories before losing towards the end of the season. The all-time record stands with the 1916 New York Giants, who achieved 26 wins with a few unofficial ties thrown in. Who remembers the mighty Colonels of Louisville? You have to go all the way back to 1889 to find MLB’s worst losing streak, which tallies in at 26 games. The Colonels only won 27 of a possible 138 games that year, and finally broke their streak by beating the St. Louis Browns. The closest we’ve seen in modern baseball was the 2005 Kansas City Royals, who lost 19 straight games. 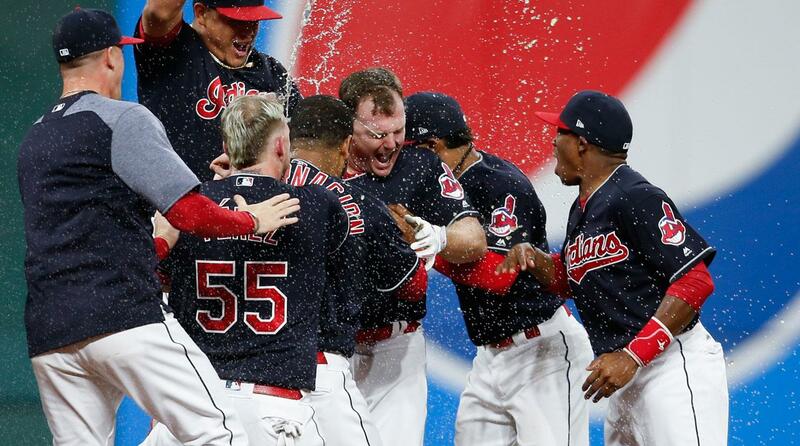 Ten years later, they washed that bad taste from their mouths with a World Series championship. The 1971 Los Angeles Lakers ran away with 33 straight victories for a dominating final season record of 69-13. They haven’t been bested, but teams have come close. The Golden State Warriors ended their first championship season run earlier this decade with four regular season victories and followed it up the next year with 24 straight for 28 total wins for the best overall season record at 73-9 in the 2015-2016 season. You only need look back the 2014 and 2015 seasons to find the NBA record for longest losing streak. The Philadelphia 76ers finished the 2014 campaign and opened the 2015 campaign with a combined 28 losses. They bested their own single season record of 26 games, which happened in 2013 and tied the 2010 Cavaliers for the then-longest streak. 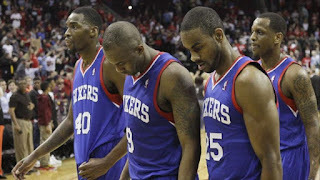 Sixers fans have been able to “trust the system” as the team is now a playoff contender. The 1993 Pittsburgh Penguins were a team to behold, even after coming off back-to-back Stanley Cup championships. The team won a staggering 17 straight games before ending their streak with a 6-6 tie to the New Jersey Devils. The 2017 Columbus Blue Jackets nearly bested them, winning 16 in a row before a loss in a shootout. Just one year before the Penguins’ amazing run, the 1992 San Jose Sharks matched their win total with a 17-game losing streak, a mark which was initially set by the 1974 Washington Capitals. 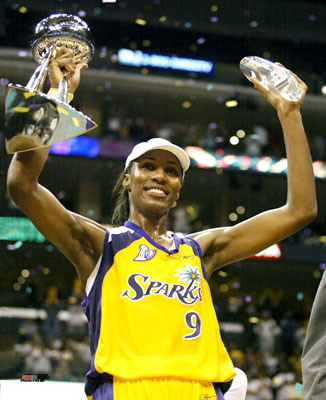 The Lisa Leslie-led Los Angeles Sparks (say that five times fast) of 2001 dominated their competition for 18 straight games on their way to a complete dismantling of the playoff field and a second straight league championship. The 2011 Tulsa Shock lost 20 straight times before their fortunes turned with a win. The team would battle through four more tough seasons before finding their footing, making the playoffs and surprisingly relocating to Dallas to become the Wings. With the Browns finally winning a game, another shot at the record books has ended. Here’s hoping we see some more great teams in the coming seasons (and fewer bad teams). Do you think any NFL team has a shot at going undefeated this year and potentially challenging the Patriots record? Will we see another team go 0-16 this year? Sound off in the comments below.